JERUSALEM, ISRAEL: Israeli Prime Minister Benjamin Netanyahu held out the prospect on Monday of reviving a 2002 Arab peace initiative that offers Israel diplomatic recognition from Arab countries in return for a statehood deal with the Palestinians. 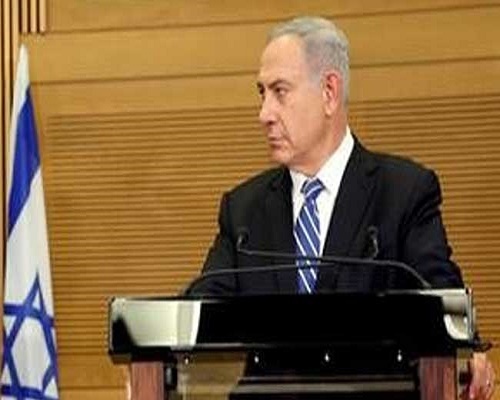 His comments were made also in English in a speech that was mostly in Hebrew – a device Netanyahu often uses when he wants to make a statement to the international community. Netanyahu spoke moments after ultranationalist Avigdor Lieberman was sworn in as Israel’s new defence minister and Israel’s fragile right-wing coalition gained vital support in parliament. Lieberman concurred and Netanyahu appeared to indicate that the new far-right defence minister’s inclusion in the government did not spell an end to peace efforts with the Palestinians. But in 2013, after the initiative’s terms were softened to include possible land swaps between Israel and the Palestinians, Netanyahu signalled a readiness to consider it. France is set to host a peace conference of to revive peace efforts on June 3 with the participation of ministers from the Middle East Quartet – the United States, Russia, the European Union and the United Nations – the Arab League, the UN Security Council and about 20 countries.